While we might be biased, we think there are a number of reasons why traveling with a group is a great idea, whether it's for comfort, flexibility or the people you'll meet. Don't believe us? Check out these six reasons why group travel takes the cake. To travel solo or with a group is an age-old debate. 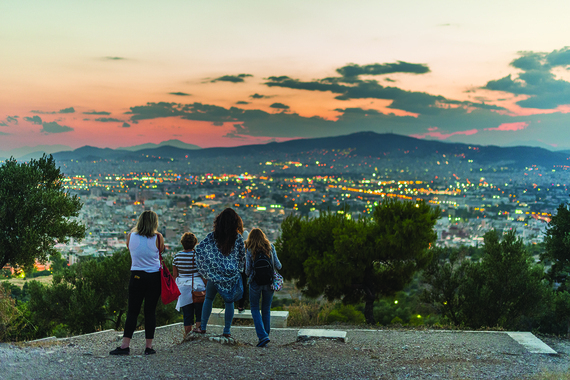 While we might be biased, we think there are a number of reasons why traveling with a group is a great idea, whether it's for comfort, flexibility or the people you'll meet. Don't believe us? Check out these six reasons why group travel takes the cake. The great thing about group travel is that, while you may be arriving at your destination solo, you won't be alone once you get there. Traveling in a group means you are sharing the experience with others who have a similar mindset, creating great conversations and bonding experiences. At the same time, you're widening your circle of companions who share similar interests for free-time exploration. When some of your group decides they really don't want to see another museum that day, you can grab the other art-lovers to check it out with you. Planning a big trip can be stressful, especially when you're traveling to a place where you don't speak the language. But with a Tour Director by your side, all of your transfers and excursions are thought-out and planned ahead of time. Your Tour Director can also help alleviate any issues that pop up as a result of traveling, which means your only responsibility is to sit back and enjoy your trip. Not to mention, going with a group trip means you can leave flights, accommodations and even some meals up to to the experts -- how easy is that? Whether it's skipping the line at the Vatican Museum or enjoying an outdoor lunch at an olive oil farm in Tuscany, there's no better way to gain exclusive access than by being on a group tour. And with a Tour Director handling the logistics of your itinerary, you'll be sure to see the major sites (plus some one-of-a-kind hidden gems) while getting historical context as you go. There's something about the aspect of travel that creates an immediate bond, especially when you're traveling together as a group. After sharing a wealth of memories and moments you could only experience during that exact trip, you'll return home with a new network of friends from all over the country. It's a great way to keep in touch with those you connected with (or even travel again with them!) -- and you'll always have someone to reach out to when you're having a serious craving for Valencian paella. Want to have your entire trip planned -- or none of it? Going with a group allows you to participate in scheduled excursions at your leisure, while still giving you free time to explore on your own. It means you can spend as much (or as little) time with your group members as you choose, without needing to skip anything on your must-see list. One of the best parts of being on tour is learning from the other travelers you're with. Since everyone brings different backgrounds and learning experiences to the table, each person can offer unique insight or perspective to some of the many famous (or not-so-famous) sights you'll see during your trip. There's also nothing better than watching someone on tour experience a new city or country for the first time -- it's a great experience you can relive yourself! Ready to travel in a group? Explore our 100+ tours. Have you ever traveled with a group? What did you like about it?